The Leprechaun Mouse is a breed of prize mouse found in all locations except the Meadow. They are known to drop Mystery Pot of Gold as loot. The Mystery Pot of Gold may carry cash prizes worth $25 to $50, which can be claimed via PayPal or redeemed for SUPER|brie+ cheese via the Prize Claim page. Required Power Types: All types except Parental Other Requirements: ?? This mischievous mouse loves to stir up trouble and play pranks. Although the Leprechaun mouse is certainly hard to find any hunter who is able to capture one will surely be bribed by the mouse to let them go. Every Leprechaun is sure to have something valuable in their pot of gold including cash! Catch this mouse and win a real prize! 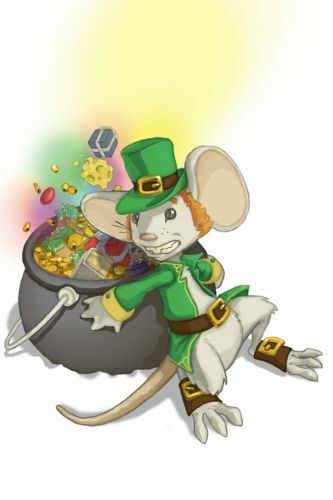 As of 18 November 2015, the Leprechaun Mouse does not consume cheese or charms when attracted or caught. The Leprechaun mouse is a typical member of the Event Mice group. All power types are of normal effectiveness against it with exception of Parental which is ineffective. After catching a Leprechaun Mouse, it is not possible to catch another one for 90 days. During special events such as the King's Giveaway, the cooldown period may be lowered. Leprechaun mice were first released on 13 March 2008. Despite being the first prize mouse to be introduced, they are still the rarest mouse in terms of global catches per breed. During the King's Giveaway 2010, failure to catch a Leprechaun Mouse resulted in an increase of one Prize Power during the giveaway Event. 18 November 2015: Prize Mice no longer consume cheese or charms when attracted or caught. 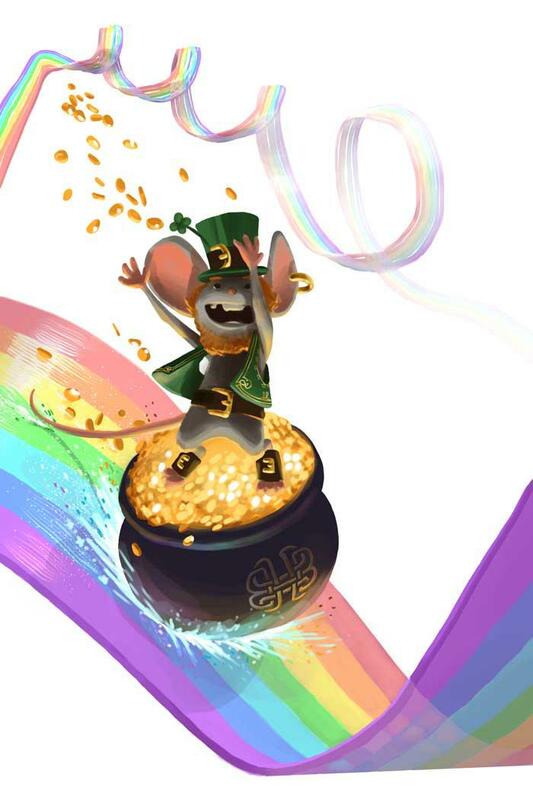 18 November 2015: The Leprechaun Mouse begins dropping the Mystery Satchel of Gold. This page was last edited on 14 January 2016, at 19:44.